Let me start by saying that I think the build quality on this ukulele is really good. It looks and feels great, particularly the fretboard which feels very well finished. 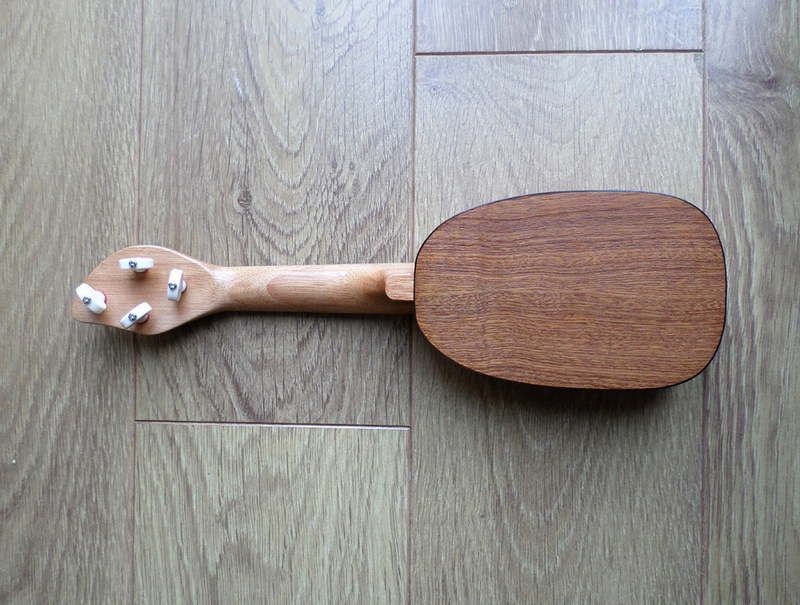 Due to its size I often get comments or questions about this ukulele such as “is that a real instrument?”. I just hand it over when I hear this now and that question goes away pretty quickly once it’s seen close-up. This is my first ukulele that has friction tuners and I have to say I’m a fan. Although they’re relatively cheap (cardboard washers), I personally think they look so much better than geared tuners. Mine are fairly tight to turn and even the slightest motion has a pretty big impact but I just find them so tactile. 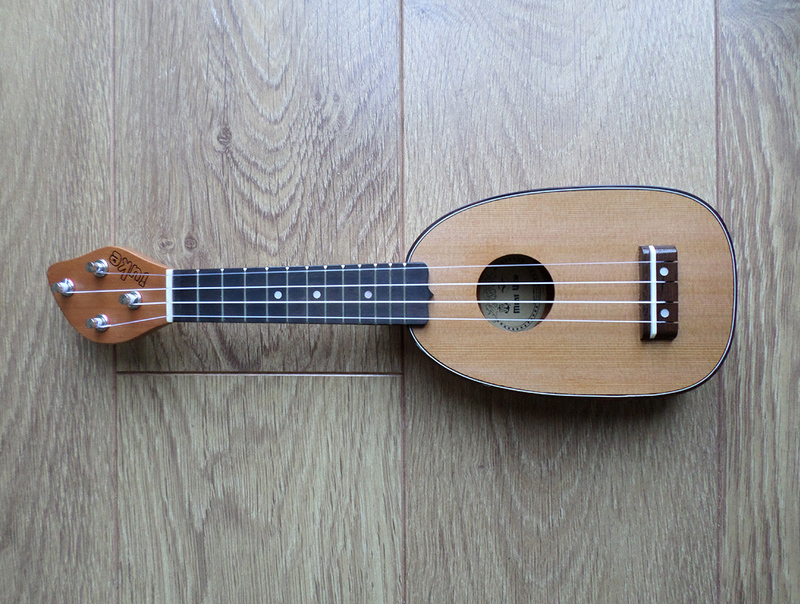 Without wanting to sound too much like a hippy – I feel closer to the uke and it’s sound. They hold just fine too. 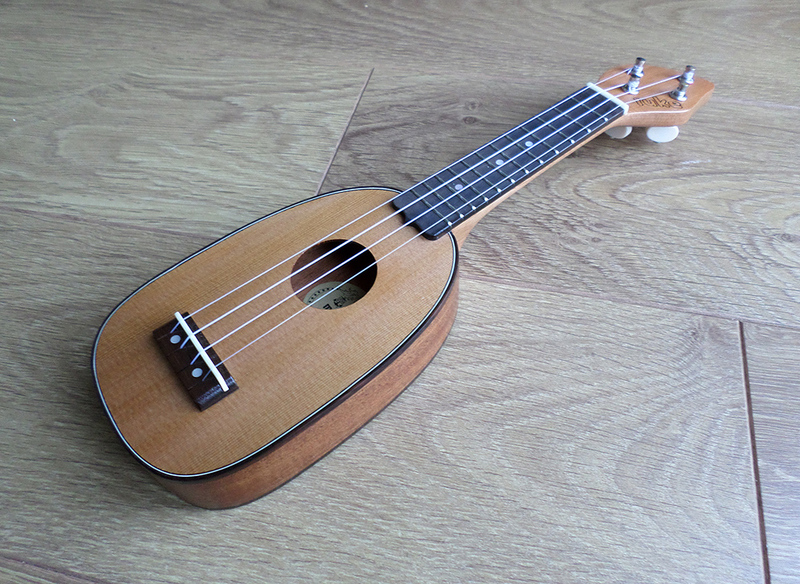 This little pocket rocket actually has a solid top which I think is a great move, obviously sustain is going to be very short on a ukulele of this scale so anything that can be done to extend that is a huge plus. The first thing you need to be aware of is that the iUke is intended to be tuned an octave higher than standard tuning. As a result, it has special Aquila strings for this. 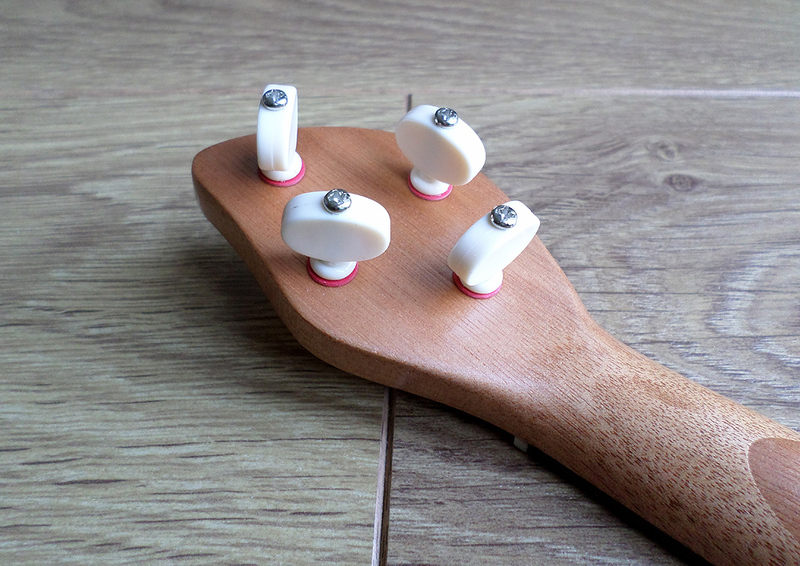 Aquila actually had a hand in developing this uke – how much of a hand I don’t know though. Many will question the playability due to its diminutive stature but I’ve not found it too bad at all. I’ve had to adapt the way I play some chords to fit my fingers on to the frets but it’s nothing too drastic. There are times now where I’ll cover 2 frets with a single finger for example. I’ve heard a few people suggest that a wider nut would really help and I don’t disagree with that at all. That said, it’s definitely playable as is. If you are of the opinion that it would be too small, watch this video of Ian Emmerson playing the world’s smallest ukulele – now tell me it’s too small! In terms of sound I think it’s pretty good. It’s a little shrill, no doubt but the chords ring true and it intonates well. If you’re playing below fret 7 then it’s great. Venture higher up the fretboard and this is where I think it becomes a bit more difficult to play and obviously the sustain drops off quite heavily here. I’ve checked the intonation up and down the fretboard and it’s pretty much bang on – although my ears struggle to differentiate the notes too well higher up the neck. I know some have criticized the choice of going an octave up because it really does raise the pitch to high level, but I can see sense in the decision. 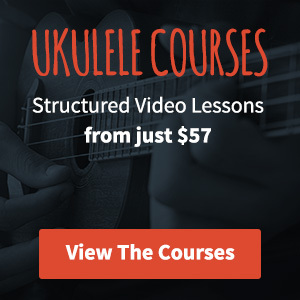 The way I see this uke is like a travel practice uke, it is so portable. Mine comes along in the car with me and I play it at every opportunity and that’s why I like the decision to keep it in standard tuning but an octave higher. It means I can practice on it and then jump back on another uke at home retaining what I’ve learned. Oh yeah, try playing a soprano after the iUke, it’s a breeze! 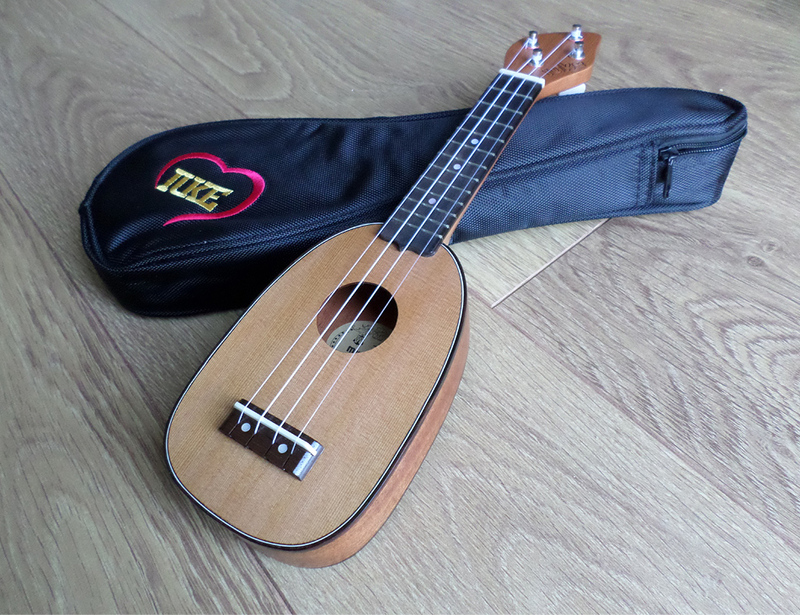 Ultimately the iUke sits in an unusual position, it’s never going to be anyone’s main ukulele but it’s great to have to take with you, it’s a bit of a luxury. Mine has carved out a pretty unique position in my collection and it’s there to stay!